by Moni - 10 Comments. Are you looking to earn money online on a budget? Affiliate marketing is one of the most lucrative and low-investment ways of making a living online. The business has low downtime and you can scale it to any level. As an affiliate marketer, you will promote products and services in return for commissions. Whenever people make purchases through your affiliate links, you earn money. Affiliate marketing is almost like a done-for-you business because vendors will provide you everything to promote offers. From banner ads, emails, and even posts for social media engagement, you can get everything from your affiliate programs. 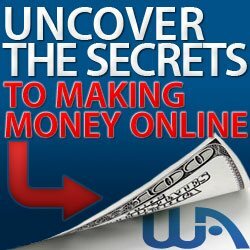 While you can get a website, not having one does not stop you from earning affiliate commissions. If you are considering affiliate marketing business but don’t know how to go about it, this guide will show you how. To start an affiliate marketing business, you need to select a niche you are comfortable with. A niche is a category of products you can promote. The most popular affiliate marketing niches include Make Money Online, Health and Wellness, Fashion, Supplements, and Beauty. The choice of a niche is important as it plays an important role in how long you can stay in the affiliate marketing business. 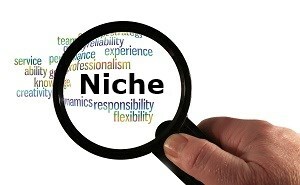 When choosing a niche, consider your passion, knowledge, potential income, and level of competition. Passion is a driving factor for most successful businesses and it can take you far in affiliate marketing. Choosing a niche which you are passionate about provides more mileage as you can dedicate more resources into the business for longer. A deep knowledge of the niche is also important as this gives you an authoritative voice when recommending products or advising people on how to use a service. But you don’t need passion and even knowledge of a particular niche before you can make money off of it. Another important consideration is the potential of making money. Choose a niche that offers enough commissions but low competition. When you are starting, it is often better to select an unsaturated niche even if the payouts are lower. This will make it easier to scale your business and build an audience. If you get the niche selection wrong, you may find it hard to succeed as an affiliate. So take your time, research, and look at your options before deciding. Since you will promote products and services, choose affiliate programs or networks in your niche. There are different affiliate markets to choose from including JVZoo, ClickBank, and WarriorForum among others. You can also be a part of direct affiliate programs such as the Amazon Affiliate Associates program. Whether you are promoting multiple products and services from different merchants or one vendor, the most important thing is that your offers are genuine, and the program pays high commissions consistently. You can even choose small programs that offer regular pay over larger offers that pay huge commissions once in a while. It is essential to carry out due diligence before promoting an offer. There are scams all over the internet posing as legitimate opportunities. Affiliate sites like ClickBank offer a huge potential to make handsome commissions within a short period, but the platform is also a hotbed of frauds. So, you must be careful to screen any offer before putting your name to it. People who buy a low-quality product from you will never buy from you. Your ability to find profitable affiliate programs is a vital skill for survival in this industry. The more you get better at matching opportunities with your passion and knowledge, the higher your chances of making money as an affiliate. Not every affiliate marketer needs a website, but having once increases your potential for growth and income. With a website, you are in full control of your content strategy, brand, and scalability. You can promote a wide range of related products on one website, making it easier to deploy resources for more effectiveness and higher ROI. An affiliate website serves as an online store where people can check reviews and buy products and services they need through your affiliate links. Creating a website is super easy these days. All you need is a domain name, hosting, and a CMS like WordPress or Joomla. The most popular website building platform is WordPress because of its simplicity, user-friendliness and the plethora of communities built around it. 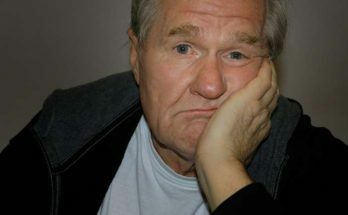 WordPress is free but you will need to buy a domain name which will serve as your URL and a hosting service. The total cost of building a standard affiliate website is less than $100. 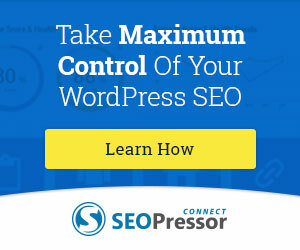 Installing the WordPress theme is simple and some hosting companies will do it for free. It’s important to choose a quality WordPress theme for your affiliate marketing website as it plays a critical role in its appearance and user experience. 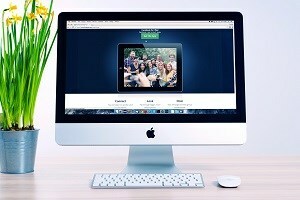 There are thousands of free themes to choose from but you can get a premium theme for as low as $10. Once your website is ready, create content to promote your offers. 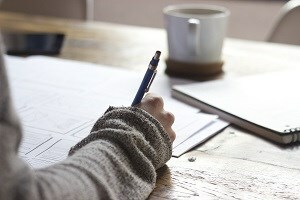 The next step towards creating a profitable affiliate marketing business is content creation. 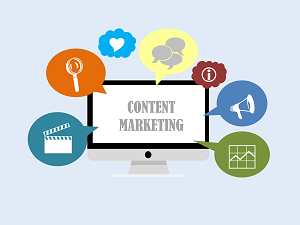 Your content creation strategy should be in line with the products and services you want to promote. There are different content you can produce as an affiliate but the most popular are product reviews. 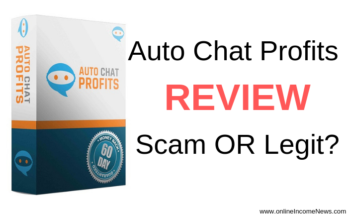 Product reviews, whether single or comparisons are money spinners and traffic generators. You can also create in-depth how-to guides, virtual store pages, trends and new release posts, banner ads, sidebar ads, videos and more. Make sure your content is high quality and delivers value to your target market. Position yourself as an authority in your niche by consistently providing informative and educative content that solves the problems of your audience, and they will become loyal customers in no time. Besides creating quality content, you need to be consistent in your messaging. Don’t leave your audience in the dark. If there will be a change in your website layout or editorial calendar, let them know beforehand. Traffic is an important element of affiliate marketing because that is where the money is. SEO strategies, social media engagement, guest posting, blogging, and email are free traffic sources you can leverage for increased visibility. If you have the budget, paid traffic can quickly increase your reach and skyrocket your revenue. As a beginner, concentrate on one or two organic traffic sources at first before trying other methods. Once your content creation strategy is in place, plan for the long-term. Affiliate marketing success takes time, but many people lose patience after a few months of hard work. Don’t let your effort go to waste. Keep looking for more lucrative programs, create evergreen content that will rank high in search results, and wait for the magic to happen. Regarding traffic, quality is more important than quantity. If you have 700 readers and 250 of them make purchases through your affiliate links each month, you have a steady source of income. However, you need to continue updating your skills and streamlining your marketing strategy for increased results. Affiliate marketing is a goldmine, but it requires a lot of effort and patience. If you can put in the work, nothing can stop you from earning an income as an affiliate. I hope you enjoyed this How To Start Affiliate Marketing Business if you have any questions or you just want to leave your own personal experience, leave a comment below. I would love to hear from you! Next Article What Is Website Bounce Rate? Right from the start, you hit the nail on the head. Affiliate marketing is a low investment with a high reward for people looking to work from home. 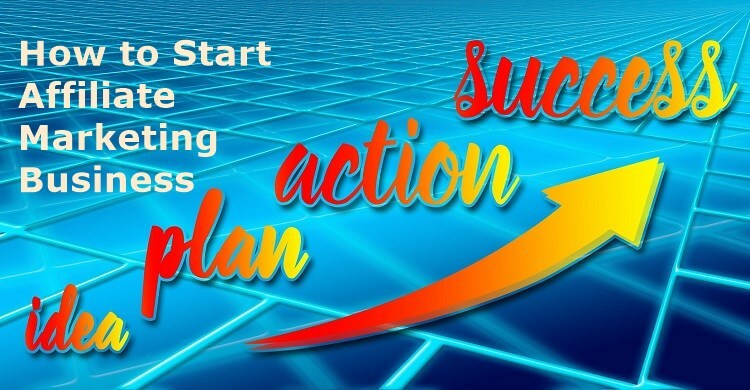 You lay out the ways to success to make an online business profitable. Every good business needs a good foundation. This foundation comes with education and a support system. The community inside this program in without a doubt the best in the online world. The program is designed to give people the tools and resources they need. Hi Ken, thank you for stopping by and taking the time to comment. Ken, in my opinion, affiliate marketing is here to stay and will continue to grow as more people discover it. 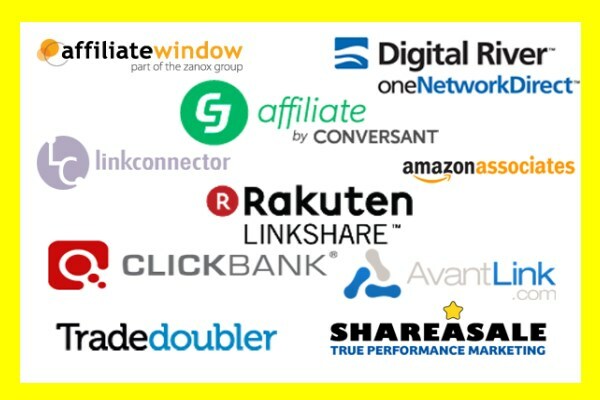 Affiliate Marketing business truly provides a win-win situation for all concerned from the vendor of the product to the affiliate marketer to the end consumer. 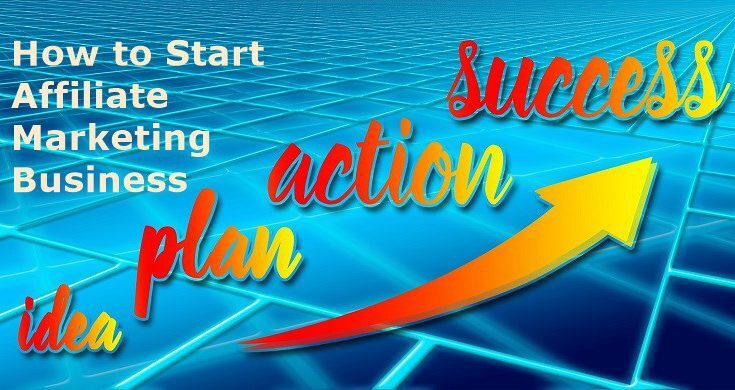 Hi Moni great article on How to start online business, I know quite a bit after affiliate marketing and I can say that information and tips provided in your article are very accurate and helpful. I think you told people main steps and areas where someone new in online marketing should focus on. It is really nice feature that I can download your article in PDF and read it later. Thank you for sharing! Hi Marius, thank you for stopping by and taking the time to comment. Thank you for your kind words and I am happy you found the download feature helpful. We all lead busy lives and sometimes we don’t have the time to read the article however having this feature to download the pdf and read later really helps. I am also a part of the community you belong to for learning the marketing skills and it is truly an incredible community with not only great training but amazing help. Hi Phyllis, thank you for stopping by and taking the time to comment. Something I definitely want to add here is the fact that once we try our hand at affiliate marketing, we will gain knowledge and experience with it as we go along. I remember when I first started; I was kind of struggling on what to write about and whether my content would be appealing. Once I found that my sites were indeed getting ranked in the search engines, they started to come alive and hence, traffic has started to build. The key advice I can give to anyone is to stick with it as awesome things will happen for you and your niche down the road. Hi Todd, thank you for stopping by and taking the time to comment. You are right my friend the key to success is perseverance. Stick with it and keep taking the action and the results will surely come! Straight to the point article.